Many companies offer ocean cargo transportation to their customers. Some can even throw in warehousing and even fewer can attach land-based movements or customs brokerage in combination. But, to achieve the greatest efficiency, while reducing friction points, it’s important to work with a logistics company that can distinguish itself by providing a single-sourced, full-cycle supply chain management solution. As retailers compete to introduce new lines and seasonal merchandise, apparel manufacturing companies are consistently looking to 3PLs for more than transportation and warehousing. The 126-year old, Jacksonville, Florida-based Crowley Logistics is seeing strong growth in its integrated suite of complete logistics solutions. This includes customs compliance, inventory management, procurement, distribution planning, multi-modal transportation, value-added warehousing activities, reverse logistics and managed land transportation. One of the critical ways Crowley has done that is by providing U.S. Customs clearance services as part of its offerings through its Customized Brokers subsidiary. As compliance-driven Customs experts, they understand that just because goods are in transit, doesn’t mean that the supply chain is in neutral. In fact, that’s when a loyal partner goes into overdrive, filing proper documentation and ensuring compliance—many times before the cargo reaches port. The value of having embedded customs services in your supply chain is invaluable. It creates efficiency in document flow, risk mitigation with fewer touch points, and faster processing times because of internal communication. It also allows for transparency and greater visibility of goods throughout the entire supply chain because of integrated technology solutions. A trusted customs brokerage partner can also provide value by helping shippers determine the best and most effective way to store goods. In most cases, shippers have several options including Foreign-Trade Zones (FTZ). These are secure areas under U.S. Customs and Border Protection (CBP) supervision that are generally considered outside of CBP territory. Both foreign and domestic goods can enter the zones and there are no formal CBP entry procedures and payments of duties required on the merchandise, unless and until it enters CBP territory for domestic consumption. Domestic goods moved into the zone for export may be considered exported upon admission to the zone for purposes of excise tax rebates and drawback. Today’s economic climate demands that supply chain partners produce direct savings for apparel customers by optimizing available transportation offerings, reducing inventory requirements and costs, and speeding the order-to-cash cycle. An integrated supply chain solutions partner must act as a business change agent, closely matching supply and demand while aligning operational performance. Ultimately, greater efficiency results in faster speed-to-market. To provide customers with the highest level of service possible, manufacturers should constantly be reviewing internal processes, and seeking partners to help drive greater productivity. 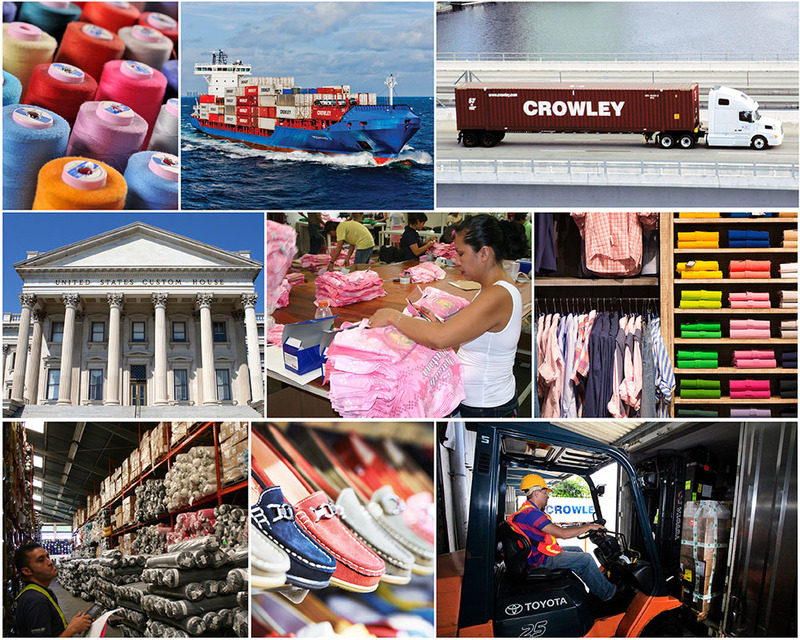 Learn more about about the broker services offered by Crowley Logistics at here.